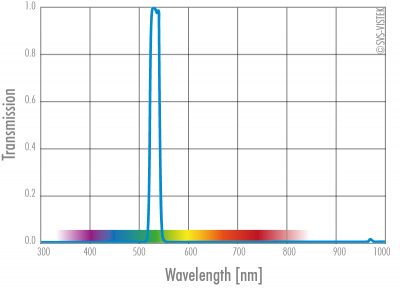 The more precisely a filter performs, the more accurately the system can be fine-tuned to the specific spectral range. The discrimination to a narrowly selected wavelength band results in improved dynamics and contrast. Chromatic aberration and the influence of stray light can thus be eliminated. The advantage is lowered CPU and GPU requirements for image processing. By launching the High Transmission (HT) series, Schneider Kreuznach has created a range of filters, manufactured with the latest magnetron sputter techniques, which come very close to the ideal filter. These filters demonstrate an extremely linear behavior with respect to transmission, with only the UV versions showing less than 95%. The truly unique properties of these filters are its steep edges that help lessen the burden for your image processing algorithms. 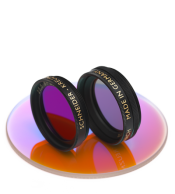 Greater knowledge and a deeper understanding of the requirements and criteria of the application is more often resulting in the use of optical filters. We invite you to discuss with us, how using optical filters can help enhance your system’s performance, coming closer to the requirements, and at the same time reduce costs. 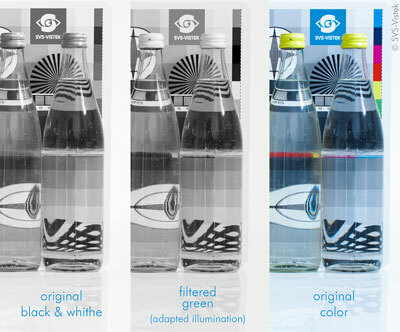 Example picture of filtering, illumination adaptation and interpretation as black and white. We would like to share the secrets behind true RGB with you. Sequential illumination with red, green and blue. We look forward to making the HT-series available to you.